Samuel Adams, "Natural Rights of the Colonists as Men," §I of "The Rights of the Colonists (1772). Frédéric Bastiat, "The Path to Dignity and Progress" in The Law, tr. 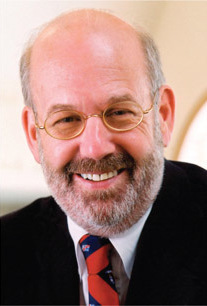 Dean Russell (Irvington-on-Hudson, N. Y.: Foundation for Economic Education, 1998; orig. French 1850), p. 73. The spread-the-work schemes rest also, as we began by pointing out, on the false assumption that there is just a fixed amount of work to be done. There could be no greater fallacy. There is no limit to the amount of work to be done as long as any human need or wish that work could fill remains unsatisfied. In a modern exchange economy, the most work will be done when prices, costs, and wages are in the best relations to each other. Henry Hazlitt, "Spread-the-Work Schemes," ch. 8 of Economics in One Lesson (1946). All production demands the co-operation of the material and personal factors of production: it is the purposeful union of land, capital, and labour. How much each of these has contributed physically to the result of production cannot be ascertained. How much of the value of the product is to be attributed to the separate factors is a question which is answered daily and hourly by buyers and sellers on the market, though the scientific explanation of this process has achieved satisfactory results only in very recent years, and these results are still far from final. The formation of market prices for all factors of production attributes to each a weight that corresponds to its part in production. Each factor receives in the price the yield of its collaboration. The labourer receives in wages the full produce of his labour. In the light of the subjective theory of value therefore that particular demand of Socialism appears quite absurd. But to the layman it is not so. The habit of speech with which it is expressed derives from the view that value comes from labour alone. Whoever takes this view of value will see in the demand for the abolition of private ownership in the means of production a demand for the full produce of labour for the labourer. At first it is a negative demand—exclusion of all income not based on labour. But as soon as one proceeds to construct a system on this principle insurmountable obstacles arise, difficulties which are the consequence of the untenable theories of the formation of value which have established the principle of the right to the full produce of labour. All such systems have been wrecked on this. Their authors have had to confess finally that what they wanted was nothing else than the abolition of the income of individuals not based on labour, and that only socialization of the means of production could achieve this. Of the right to the full produce of labour, which had occupied minds for decades, nothing remains but the slogan—effective for propaganda, of course—demanding that 'unearned' non-labour income should be abolished. Ludwig von Mises, "The 'fundamental rights' of socialist theory," §2 of "Socialism (ch. 2)|Socialism," ch. 2 of "Liberalism and Socialism," pt. 1 of Socialism: An Economic and Sociological Analysis, tr. J. Kahane (New Haven: Yale University Press, 1951, 1962; orig. German 1922), p. 59. Ludwig von Mises, "The Failure of Interventionism," §I of Planned Chaos, (Irvington-on-Hudson, N. Y.: Foundation for Economic Education, 1947); republished as "Epilogue" in Socialism: An Economic and Sociological Analysis, tr. J. Kahane (New Haven: Yale University Press, 1951, 1962; orig. German 1922), p. 530. The essence of exchange is the transfer of title. Here's the essence of what happens when I buy a gallon of milk from my grocer. I tell him that I hold title to these three dollars and he holds title to the gallon of milk. Then, I offer: If you transfer your title to that gallon of milk, I will transfer title to these three dollars. By no means do I suggest that you purge your vocabulary of the term exploitation. It's an emotionally valuable term to use to trick others, but in the process of tricking others, one need not trick himself. Walter E. Williams, Part 3 of Economics for the Citizen. First in the importance of its evil influence they considered the money monopoly, which consists of the privilege given by the government to certain individuals, or to individuals holding certain kinds of property, of issuing the circulating medium, a privilege which is now enforced in this country by a national tax of ten per cent. upon all other persons who attempt to furnish a circulating medium and by State laws making it a criminal offense to issue notes as currency. … For…if the business of banking were made free to all, more and more persons would enter into it until the competition should become sharp enough to reduce the price of lending money to the labor cost… This facility of acquiring capital will give an unheard-of impetus to business, and consequently create an unprecedented demand for labor,—a demand which will always be in excess of the supply, directly the contrary of the present condition of the labor market. Then will be seen an exemplification of the words of Richard Cobden that, when two laborers are after one employer, wages fall, but, when two employers are after one laborer, wages rise. Labor will then be in a position to dictate its wages, and will thus secure its natural wage, its entire product. Thus the same blow that strikes interest down will send wages up. Benj. 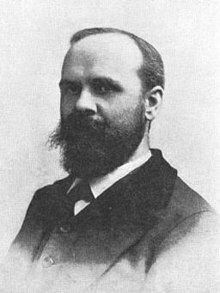 R. Tucker, State Socialism and Anarchism: How Far They Agree, and Wherin They Differ (10 March 1888), Liberty 5, no. 16, whole no. 120). First, then, State Socialism, which may be described as the doctrine that all the affairs of men should be managed by the government, regardless of individual choice. Marx, its founder, concluded that the only way to abolish the class monopolies was to centralize and consolidate all industrial and commercial interests, all productive and distributive agencies, in one vast monopoly in the hands of the State. The government must become banker, manufacturer, farmer, carrier, and merchant, and in these capacities must suffer no competition. … Society must seize the capital which belongs to it, by the ballot if it can, by revolution if it must. Once in possession of it, it must administer it on the majority principle though its organ, the State, utilize it in production and distribution, fix all prices by the amount of labor involved, and employ the whole people in its workshops, farms, stores, etc. The nation must be transformed into a vast bureaucracy, and every individual into a State official. Everything must be done on the cost principle, the people having no motive to make a profit out of themselves. Individuals not being allowed to own capital, no one can employ another, or even himself. Every man will be a wage receiver, and the State the only wage payer. He who will not work for the State must starve, or, more likely, go to prison. All freedom of trade must disappear. Competition must be utterly wiped out. All industrial and commercial activity must be centred in one vast, enormous, all-inclusive monopoly. The remedy for monopolies is monopoly. When Warren and Proudhon, in prosecuting their search for justice to labor, came face to face with the obstacle of class monopolies, they saw that these monopolies rested upon Authority, and concluded that the thing to be done was, not to strengthen this Authority and thus make monopoly universal, but to utterly uproot Authority and give full sway to the opposite principle, Liberty, by making competition, the antithesis of monopoly, universal. They saw in competition the great leveler of prices to the labor cost of production. In this they agreed with the political economists. They query then naturally presented itself why all prices do not fall to labor cost; where there is any room for incomes acquired otherwise than by labor; in a word, why the usurer, the receiver of interest, rent, and profit, exists. The answer was found in the present one-sidedness of competition. It was discovered that capital had so manipulated legislation that unlimited competition is allowed in supplying productive labor, thus keeping wages down to the starvation point, or as near it as practicable; that a great deal of competition is allowed in supplying distributive labor, or the labor of the mercantile classes, thus keeping, not the prices of goods, but the merchants' actual profits on them, down to a point somewhat approximating equitable wages for the merchants' work; but that almost no competition at all is allowed in supplying capital, upon the aid of which both productive and distributive labor are dependent for their power of achievement, thus keeping the rate of interest on money, of house-rent and ground-rent, and of manufacturers' profits on patent-protected and tariff-protected goods, at as high a point as the necessities of the people will bear. First in the importance of its evil influence they considered the money monopoly, which consists of the privilege given by the government to certain individuals, or to individuals holding certain kinds of property, of issuing the circulating medium, a privilege which is now enforced in this country by a national tax of ten per cent. upon all other persons who attempt to furnish a circulating medium and by State laws making it a criminal offense to issue notes as currency. It is claimed that the holders of this privilege control the rate of interest, the rate of rent of houses and buildings, and the prices of goods,—the first directly, and the second and third indirectly. For, say Proudhon and Warren, if the business of banking were made free to all, more and more persons would enter into it until the competition should become sharp enough to reduce the price of lending money to the labor cost, which statistics show to be less than three fourths of one per cent. In that case the thousands of people who are now deterred from going into business by the ruinously high rates which they must pay for capital with which to start and carry on business will find their difficulties removed. If they have property which they do not desire to convert into money by sale, a bank will take it as collateral for a loan of a certain proportion of its market value at less than one per cent. discount. If they have no property, but are industrious, honest, and capable, they will generally be able to get their individual notes endorsed by a sufficient number of known and solvent parties; and on such business paper they will be able to get a loan at a bank on similarly favorable terms. Thus interest will fall at a blow. The banks will really not be lending capital at all, but will be doing business on the capital of their customers, the business consisting in an exchange of the known and widely available credits of the banks for the unknown and unavailable, but equality good, credits of the customers, and a charge therefor of less than one per cent., not as interest for the use of capital, but as pay for the labor of running the banks. This facility of acquiring capital will give an unheard-of impetus to business, and consequently create an unprecedented demand for labor,—a demand which will always be in excess of the supply, directly the contrary of the present condition of the labor market. Then will be seen an exemplification of the words of Richard Cobden that, when two laborers are after one employer, wages fall, but, when two employers are after one laborer, wages rise. Labor will then be in a position to dictate its wages, and will thus secure its natural wage, its entire product. Thus the same blow that strikes interest down will send wages up. But this is not all. Down will go profits also. For merchants, instead of buying at high prices on credit, will borrow money of the banks at less than one per cent., buy at low prices for cash, and correspondingly reduce the prices of their goods to their customers. And with the rest will go house-rent. For no one who can borrow capital at one per cent. with which to build a house of his own, will consent to pay rent to a landlord at a higher rate than that. Such is the vast claim made by Proudhon and Warren as to the results of the simple abolition of the money monopoly. Third, the tariff monopoly, which consists in fostering production at high prices and under unfavorable conditions by visiting with the penalty of taxation those who patronize production at low prices and under favorable conditions. The evil to which this monopoly gives rise might more properly be called misusury than usury, because it compels labor to pay, not exactly for the use of capital, but rather for the misuse of capital. The abolition of this monopoly would result in a great reduction in the prices of all articles taxed, and this saving to the laborers who consume these articles would be another step toward securing to the laborer his natural wage, his entire product. Are these quotes relevant to topic? The Rev. C. C. Colton, Lacon; or Many Things in Few Words, rev. ed. (New York: William Gowans, 1849; orig. 1820), p. 39. 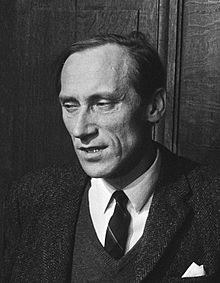 Leszek Kolakowski, “Althusser’s Marx”, Socialist Register 1971, pp. 111-127. Brian Leiter, “Morality Critics,” The Oxford Handbook of Continental Philosophy (2007). This page was last edited on 9 January 2016, at 07:29.